Brides want to come to the trial session armed with pictures of a hairstyles and makeup preferences, hair embellishments like the veil, flowers, and hair clips etc. It may be a good idea to bring your favorite eye shadow colors, those you feel comfortable in for a day wedding or evening wedding. In order to save you time and fustration, don’t be afraid to tell your stylist what you “don’t” like from the beginning. Throughout the trial session, evaluate what you like and how far you want to take the bridal look from natural to a glamour look. Remember it’s a trial session so have fun in the process and you can always make minor changes on the wedding day. 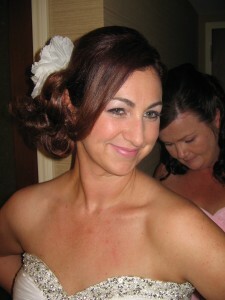 See www.beautybytania.com and click on the pinterest account, it can be very helpful. There are so many options when it come to picking the style of the bridal dress but what about the shade of white. Traditionally, Brides wore only white for their first wedding. Now brides are wearing any shade of white that appeals to them and their skin tone. 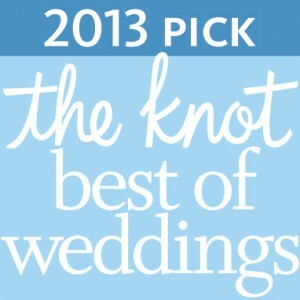 Here are a few guidelines as seen in The Knot Fall 2013 magazine. When trying on your dress consider the lighting in the bridal salon and your own makeup application. You may want to pull up your hair to consider different hairstyles like all up, half up and down or all down. Veils can complement the dress for the ceremony but removed for the reception. As seen in The Knot Magazine Fall 2013, page 390. When starting the bridal beauty process, it is a good idea to look in the mirror and see what needs to be enhanced and what may need a little camouflague. Longer hair is easier with most bridal up do’s, so you might consider growing your hair out starting today. This should be followed by a trip to your hairstylist to discuss whether highlights, lowlights, treatments and a light trim are needed. Next, the texture of your skin is obviously very important on your wedding day. Begin by getting facials once a month at least 3 months before your wedding, this will help the makeup go on smoothly and last longer. Check out bridal and fashion magazines, Pinterest and the Knot to find the latest bridal looks appropriate for you and your wedding venue. Book your trial session about 1 to 3 months before your wedding, to ensure the look is perfect for you. Make a realistic fitness plan and work out with a buddy to help keep you on track. 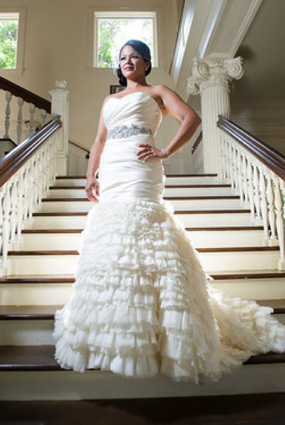 The two areas of your body to pay close attention to when wearing your wedding dress are your shoulders and abdominals. That’s it for now. Remember to enjoy the journey, not just the destination. 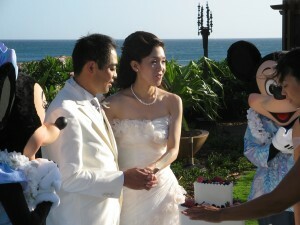 Most brides are preoccupied with the overwhelming details and timing of their wedding day. They forget to pack the little things or don’t have time to really think about themselves. So here is a packing list of “your little thing”s that may be overlooked. I write “your” because there is comfort in the things you are use to seeing, touching or using. Your skin is a perfect example, you may become sensitive to the body lotion or sunscreen provided by the hotel. The type of pillows may cause you to sleep with your head buried in the them leading to puffy eyes on your wedding day.